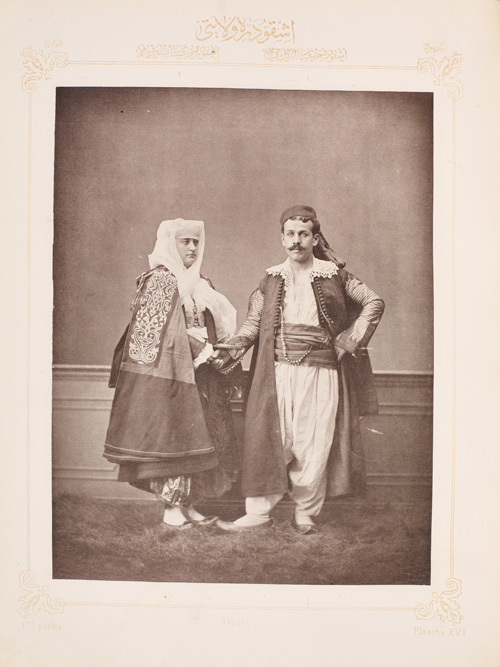 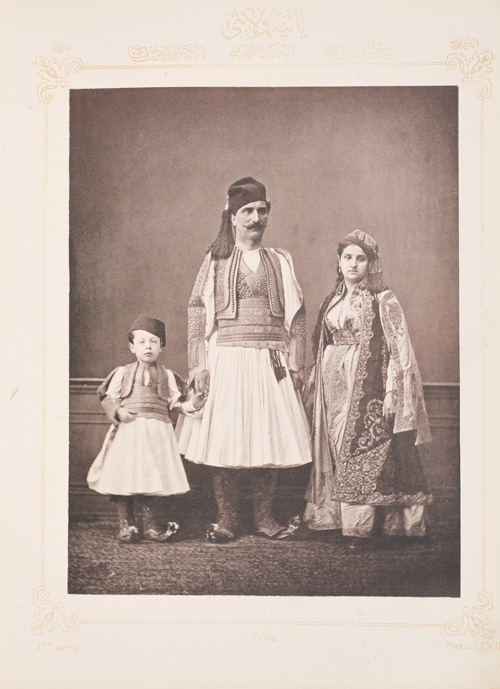 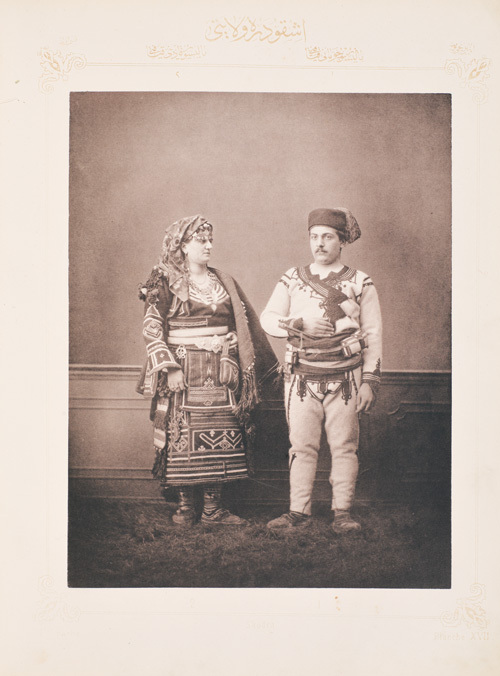 In 1873 the Ottoman government published Costumes populaires de la Turquie, a photographic survey of the wide variety of costumes throughout the empire. 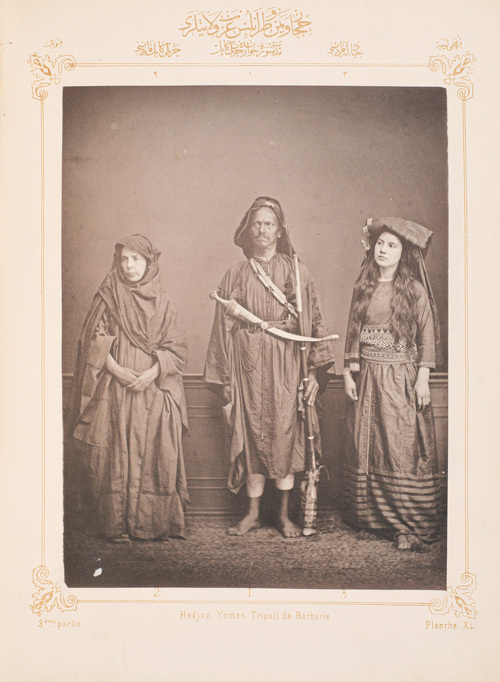 The volume’s “ethnographic” photographs were taken at Pascal Sébah’s famous studio; but the existence of staged “exotic” versions of these images reveals the blurred boundaries between these two supposedly different perspectives. 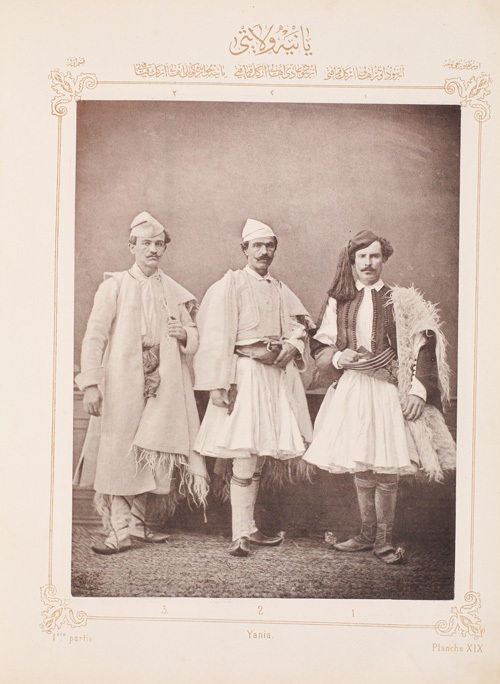 Stern-looking models in the album were easily made to pose in much more appealing ways to cater to the taste of visiting foreigners. 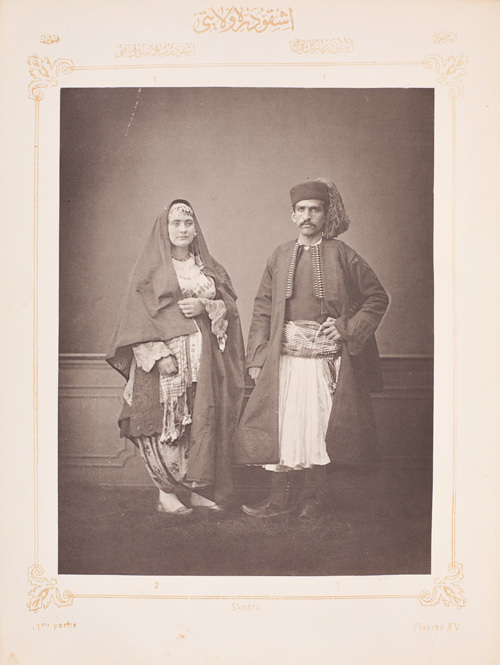 The accompanying texts underlined the Orientalist tendencies.